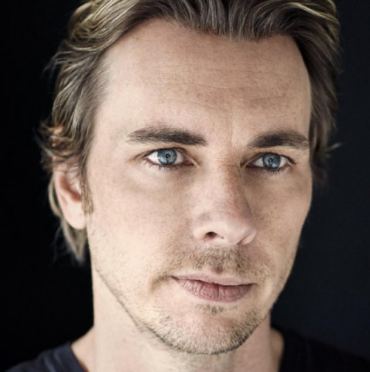 Dax Shepard is an American Actor and is popular in the world for portraying his role in the movies like ‘Employee of the Month’, ‘Without a Paddle’, and much more. He has also established himself as a Comedian, Writer, and Director. Let's look at his wiki, to get more information regarding his career, net worth, personal life. What is Dax Shepard famous for? Having appeared in films including Employee of the Month (2006), Without a Paddle (2004), Idiocracy (2006), Let’s Go to Prison (2006), and Hit and Run (2012). His television work includes MTV reality series Punk’d from 2003 to 2012 and NBC comedy-drama series Parenthood from 2010 to 2015. Where is Dax Shepard born? Dax Shepard was born in Highland Township, Oakland Country, Michigan, in Suburban Detroit as a Dax Randall Shepard. He is an American nationality and he belongs to mixed (English, French-Canadian, Belgian) ethnicity. His birth sign is Capricorn. He was born to a father Dave Robert Shepard, Sr. and a mother Laura LaBo. Late Dave Robert Shepard, Sr. who was a car salesman. His mother worked at General Motors. His parents divorced when he was just 3 years old. His mother has been married four times. He had three stepfathers. His older brother named David Shepard who lives in Oregon and a younger halfsister Carly Hatter appeared in two films Hit and Run and CHips. Regarding his education details, He attended Muir Junior High and Walled Lake Central High School. He graduated from Walled Lake High School in 1993. Later, he graduated from UCLA with a B.A. in Anthropology. 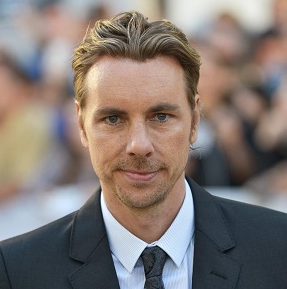 When dis Dax Shepard pursue his acting career? Dax Shepard moved to Los Angeles in 1996, after a year living in Santa Barbara, California. He found out about The Groundings improve troupe from a friend from Santa Barbara, Kareem Elseify, ended up auditioning (the first time he acted), and took classes while attending UCLA. After about five years of classes, he got into the Sunday Company of The Groundlings- in a group that included Melissa Mccarthy, Tate Taylor, and Nat Faxon. However, with the course of time, he became more interested in acting and he finally made his acting debut in 1998 in the movie, Hairshirt. From 2003 onwards, Shepard became known from his work in the improve Candid Camera-type show, Punk’d, with Ashton Kutcher. When the show had its 2012 revival, he continued to appear. Dax said he auditioned for Punk’d and while doing the pilot became friendly with Kutcher, who arranged for him get an agent. He auditioned unsuccessfully for 10 years before he landed the role. In 2004, Dax starred in the comedy Without a paddle, alongside Seth Green and Mathew Lillard. The film received negative reviews but was a commercial success, grossing $69,631,118 worldwide. From 2010 to 2015, Dox was part of the main cast of NBC drama Parenthood, playing Crosby Braverman. Dax Shepard wrote, produced, co-directed, and starred in 2012 low-budget film Hit and Run alongside Bell and his close friend Bradley Cooper. Dax had a supporting role in the 2014 film The judge, which starred Robert Downey Jr., Robert Duvall, and Vera Fa. Till now he has appeared in more than dozens of movies and television series. On February 14, 2018, Shepard launched the podcast Armchair Expert with co-host Monica Padman. The show explores their well-known guests’ stories. Featured guests on the show have included Kristen Bell, Ashton Kutcher, and Joy Bryant. On June 07, 2018 the show released their first episode of "Experts on Expert", in which Shepard and Padman interview experts in their fields. Featured experts on the show have included Wendy Mogel, David Sedaris, and Jon Favreau. The show was the most popular new podcast on iTunes in 2018. To whom Dax Shepard married? Talking about his personal life, Dax met the love of his life Kristen Bell at the birthday party of a mutual friend in 2007. Soon later, the couple started dating at the end of the year. After years of love life, they got engaged in January 2010. After three years of engagement, the pair got married on the 17 October 2013. The couple is healthy and happily living together. The pair has two children together; daughter Delta Bell Shepard and Lincoln Shepard. As of now, the pair live a blissful life with their children. How much is Dax Shepard net worth? As an actor, Dax must be accumulated handsome money from his profession. According to some online sources, His net worth is reported to be around $15 million dollars. However, his salary was not disclosed yet. In the case of disclosed, we will let you know. How tall is Dax Shepard? Observing his body statistics, Dax Shepard has a height of 6 feet 3 inches. His body weighs 88kg. He has light brown hair and blue eyes. Furthermore, his chest size measures the size of 44 inches, waist size measures the size of 33 inches and bicep size measures the size of 16 inches. Besides this, his shoe size is 10 (US). He wrote, Co-directed, and starred in the 2012 action/ comedy film Hit and Run. His mother named him for the protagonist in Harold Robbins' novel The Adventurers. Met wife Kristen Bell at the birthday party of a mutual friend.